The versatility of the Tentipi® Nordic tipis now becomes further enhanced, without compromising on any of the safety aspects that our tents are so famous for. The porch gives a dry entry into the tent and provides a place for shoes and other camping gear. Packed Size: 5 X 10 X 20 in. Lightweight ripstop polyamide fabric. UV-protected and silicone coated on both sides. A carefully chosen, light and very fine standard fabric. 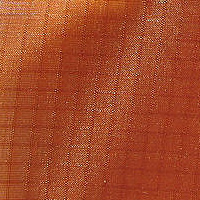 The fabric is rust red. For the Onyx model and for all those customers who have alreadybought a Moskoselkåta or a Tentipi® Nordic tipi, a porch connectorwill be available. Click the button below to add the Tent Porch 9 - Light (Comfort) to your wish list.